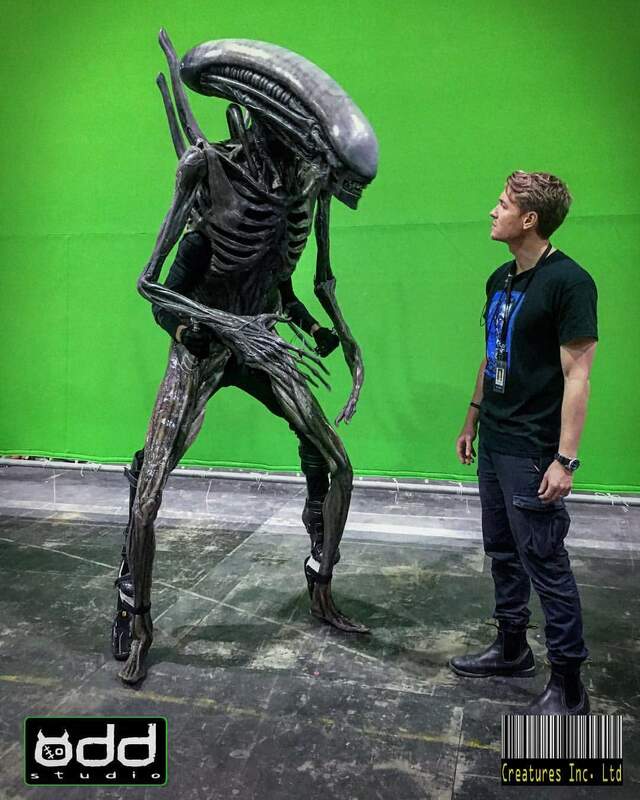 Exclusive: Xenomorph vs. Neomorph Alien: Covenant deleted scene confirmed! 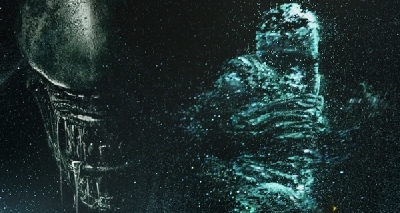 Back in February of this year, we exclusively shared an Alien: Covenant rumor which had been presented to us which involved a battle between the film's new Neomorph aliens and the iconic Xenomorph. Obviously, if you've seen Covenant you will know that (unfortunately) no such scene exists in the film. 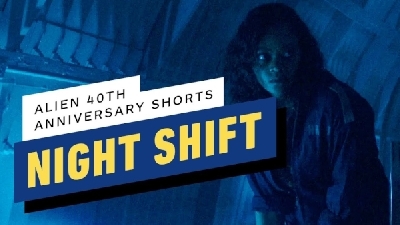 However, we exclusively learned through trusted individuals who worked on Covenant that a confrontation between the Xenomorph and Neomorph was at one point a planned scene for the film! According to our sources, the scene was originally going to play out when Daniels, Walter/David and Lope are running towards the lander, which Tennessee boarded to rescue the surviving Covenant crew. 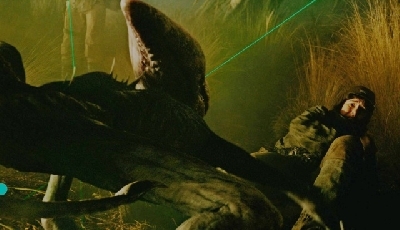 In the film, the last Neomorph was killed shortly after David attempted to "tame" it, with the newly born Xenomorph chasing down Daniels and Lope, attaching itself to the lander. 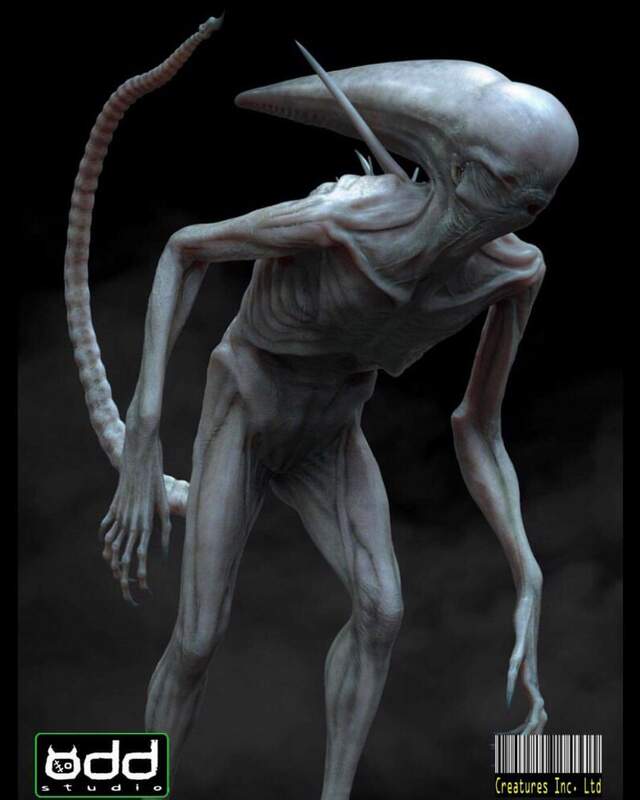 However, originally the Neomorph was going to be the one chasing Daniels and Lope and during that chase scene the Xenomorph would have revealed itself, attacking the Neomorph and asserting itself as the dominant Alien lifeform. 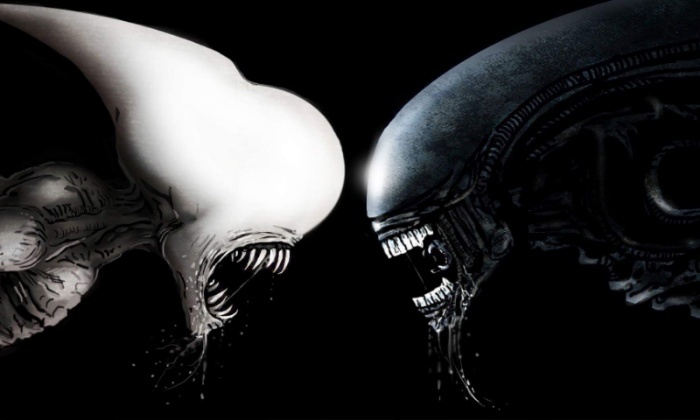 The scene was meant to convey just how much larger and nastier the Xenomorph was compared to the already aggressive Neomorph. But according to our sources, the scene kept encountering issues, primarily with the practical suits the actors wore during the battle sequence. Apparently the spikes on the back of the Neomorph suit kept catching on the elongated head crest - causing all kinds of issues and frustration. Ultimately the scene was not included, or even completed and we're not sure if it will ever be included in a future Director's Cut of the film. But, for the sake of confirmation, it is nice to know this rumor almost came to fruition. A clash between these two Aliens would have been an epic spectacle to witness. Do you wish this scene had been included? Let us know in the comments section! A very special thanks to our trusted sources for the generosity regarding this information. Images courtesy of Odd Studio. 15 Fan responses to Exclusive: Xenomorph vs. Neomorph Alien: Covenant deleted scene confirmed! 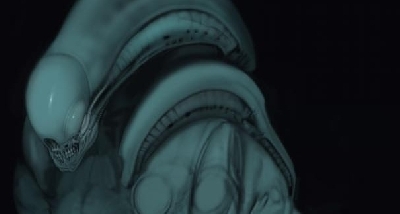 Man, that Xenomorph looks creepy. Really brings back the fear of the Alien. In the novelization of the movie, there was an actual scene where the Xenomorph and the Neomorph fought. 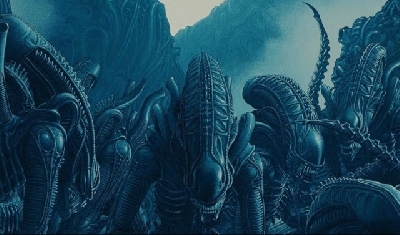 Daniels and Lope were waiting for the Tennessee to arrive, the surviving Neomorph (both survived the grass attack in the book, this one being the younger of the 2) was waiting among the dead engineers and the Xenomorph came from within the temple. 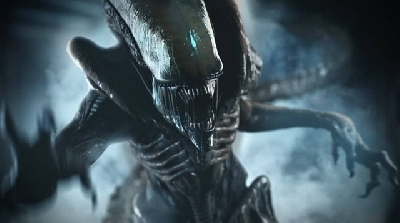 As Daniels and Lope ran for the ship, after wasting their ammo attempting to kill both creatures, The Xenomorph charged at the Neomorph and attacked it. Daniels looked over her shoulder in time to see the Xenomorph disembowel the Neomorph. It was a brief thing, but it happened in the book. Maybe we'll get lucky and see this scene play out in the director's cut. If not, I'm happy anyways that we got confirmation that the rumor is true. Very nice! I have yet to read the novelization myself. Definitely something I plan on doing in the coming weeks. Nice to see it described in such detail. ^The novelization is worth the read. There are a few differences in it than in the movie that would make for a few interesting deleted scenes. 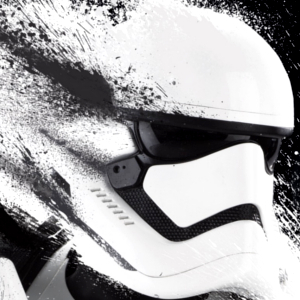 I would go into further detail but I don't want to spoil anything from the novelization unless no one minds. "The scene was meant to convey just how much larger and nastier the Xenomorph was compared to the already aggressive Neomorph. But according to our sources, the scene kept encountering issues, primarily with the practical suits the actors wore during the battle sequence." That could have been interesting if they would have gotten it right and that it wouldn't have felt like "let's put it in there just because". If they could have executed it in an intelligent way then sure but if that is not the case they did right by not including it so it really depends on different factors. KingKaijuGojira this would have been amazing to see in the film! really highlight the difference between the two species and as apex and mesapredators (beta) predators. Would have been nice to see on screen though, but reality can be stubbornly thirny at times. The Novel does seem to appear to be a much better Movie than we actually got on screen..
Is it time FOX did the unthinkable and sell the franchise to another studio, say Legendary Studios? Inject some fresh blood from top down? I have just about finished reading the novel, have not got to that part yet, should be interesting to read, the novel lets you connect more with the characters as the dialogue between them is broadened not rushed as was in the film, which is whats good about novelisation. That scene would have been awesome, beyond doubt. 'A lot of Problems was FOX having no confidence in the Franchise, a extra $40-50M and 3-4 Months more on Production/Post Production and we could have seen some major improvements.' - Totally agreed, Dave. Too bad. They cut out this scene i was so much looking forward to as it would have shown the difference and the superiority of the xeno. Now, the xeno did die after Daniels shot it with her rifle with multiple direct hits, while the neos were difficult to kill in the grassland. Love to have seen this....but IMHO, would be much better on a spaceship! "Once again the superiority of literature is revealed (as writers don't have to worry about budgests, SfX issues or such) :D"
From a safe distance(1 light year), David and Shaw surveyed the Engineers homeworld. They had sent probes to the massive planet. The results were staggering. Thousands of large cities. 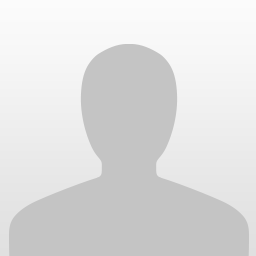 David estimated the total carbon based life forms to be 580 billion. A hundred million starships orbited the giant. Arriving at this world would be like ants arriving at the door of the Whitehouse.